This brush is one of my newest holy grail products. 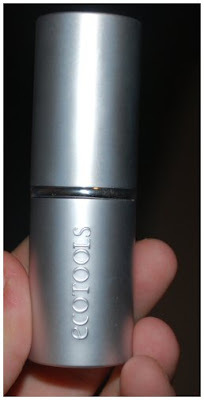 It's extremely soft and dense, so it really holds the powder and doesn't scratch at the skin. The only thing travel size about this brush is that it has a smaller handle and case. The brush itself is a full-size kabuki brush. If I recall correctly, it cost me around $8 at Target. The quality is fantastic. I have used it pretty much every day since I got it to apply my MAC MSF Natural face powder. I also use it to buff in my bronzer or blush. EcoTools is a fabulous brand that uses recycled and natural materials and is completely earth-friendly. 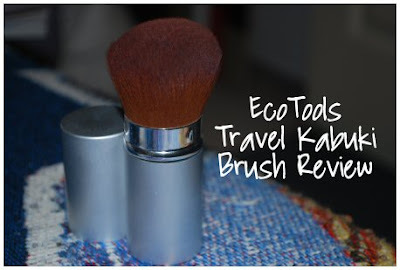 I'm definitely buying more EcoTools products when I go home next month!